Plastic Recycling; this research was submitted under the supervision of Prof. Ehssan Nassef, the Petrochemical Engineering Department and the Director of the PUA Training Centre. 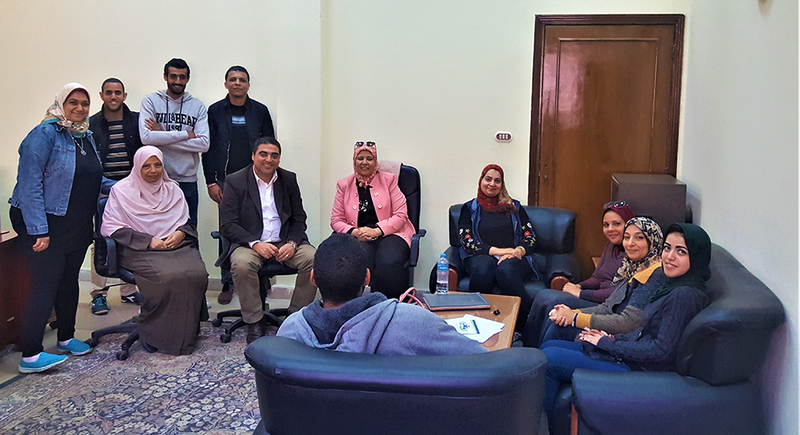 Improving the Properties of Polystyrene; this research was conducted under the supervision of Prof. Riham Hazaa, the Petrochemical Engineering Department and Ms. Sameh Hawash, an Assistant Lecturer at the Petrochemical Engineering Department. Improving the Properties of Polypropylene; this research was done under the supervision of Prof. Noha Saeed, the Petrochemical Engineering Department. During the visit, the two parties had a fruitful discussion about promoting means of mutual cooperation between Pharos University and the Plastic Technology Centre; a proposal that was met with interest from the two sides. 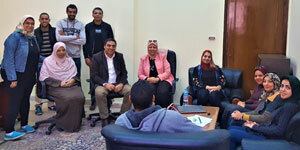 The Plastic Technology Centre was represented in this visit by Eng. Wael Radwan, the Executive Director; Eng. Nagwa Almaanawy, an expert in the centre and the Chemist. Riham Mohamedeen, the Technical Support Manager.